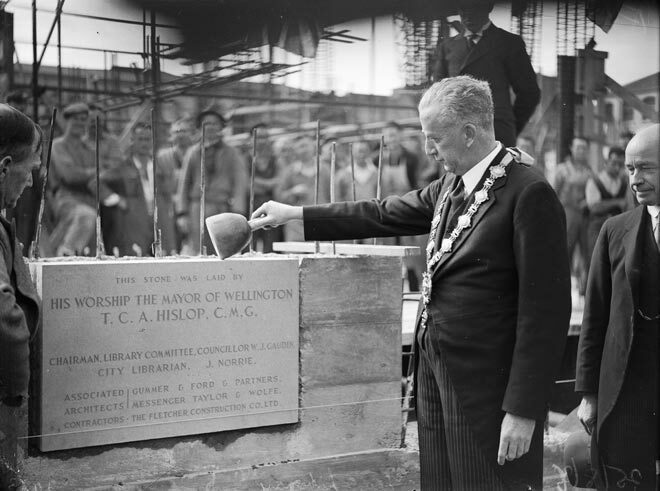 The mayor of Wellington, Thomas Hislop, uses a mason's trowel to lay the foundation stone and plaque for the city's new public library in 1938. The first Wellington librarian was appointed in 1840, and a public library on the present site first opened in 1893. The purpose-built library launched by Hislop in 1938 was replaced by a new building alongside in 1991.